As temperatures drop and snow begins to fall throughout Southern Illinois, I want to share with you a very useful website that you can access for up to date information on road and highway closures. I-57 runs through the heart of the 117th district. During inclement winter weather, we often unfortunately hear of accidents and sometimes entire closures for stretches that go for miles on the interstate. Please, if you must travel during the coming winter storm, exercise extreme caution and make sure to visit IDOT’s website BEFORE you hit the road. This week during legislative Session in Springfield, there was limited action on the House floor, as bills move from 2nd to 3rd reading. The procedural part of the legislative process can take significant time, and very few bills have actually made it to the point of being ready for floor debate to this point. This week I signed on to sponsor several pieces of legislation, including House Resolution 157 that opposes Governor Pritzker’s graduated (progressive) income tax increase plan. The appetite for tax revenue to expand the size of government in Illinois is very strong among the powerful Chicago Democrats that preside over super majorities in the House and Senate and control all six Constitutional offices (including Governor). At the recent Town Hall meeting we had in Marion, those in attendance voted overwhelmingly against a progressive income tax hike. I will continue to speak out loudly against expanding the size of government, and I will not be voting for any proposal that raises income taxes. 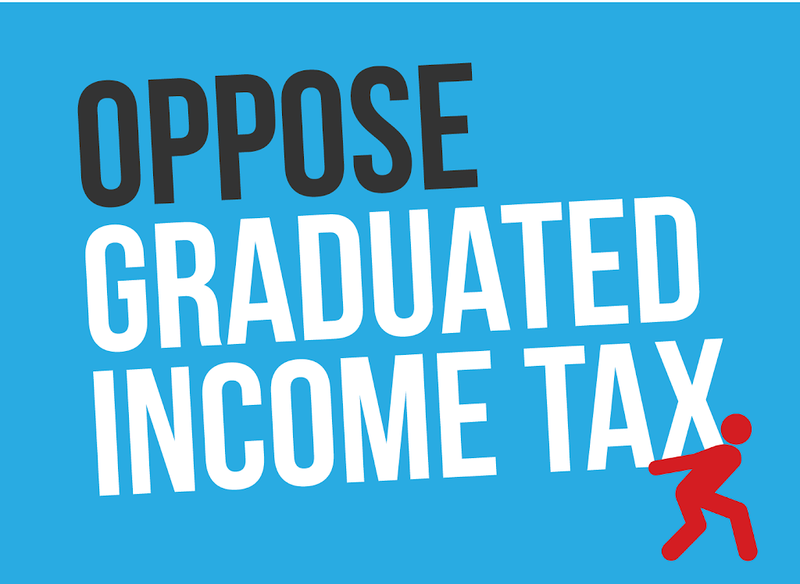 Did you know you can state your opposition to a graduated income tax online? Simply follow the link below and sign the petition! Let your voice be heard on this critical issue. Ban on Concealed Carry in Churches is Tabled! Many of you have reached out to me regarding HB 3023, a bill that would restrict individuals from conceal-carrying firearms in places of worship. Fellow believers in my church, and in many churches in America, have teams of individuals that conceal-carry so that the parishioners may be kept safe in the event of an active shooter situation. Throughout my time as your State Representative, I have urged all my constituents to stay informed through ILGA.Gov and to legislative leaders and rank and file members to express opposition. The uproar that this bill caused throughout Illinois caused the bill’s sponsor to quietly table HB 3023, which means the legislation will not pass in the 101st General Assembly! 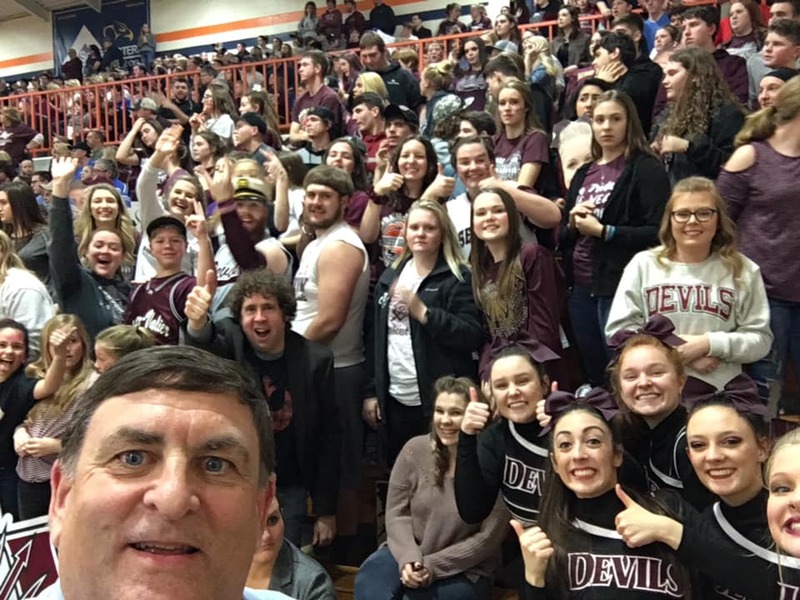 Congratulations to the Sesser-Valier Red Devils and Head Coach Shane Garner on winning the Regional championship in boys Class 1A! The team moves on to play Moweaqua Central A&M on Tuesday March 5 at SIU arena at 6 p.m. in the Super Sectional. Congratulations and good luck!